With a limited window of opportunity, can Canada tap Asia’s growing natural gas market? Canada has a limited window of opportunity to put in place the needed infrastructure if it wants to export substantial quantities of natural gas to markets in Asia. Asian markets won’t wait and other suppliers, including the U.S., will begin bringing additional production on stream as new technologies exponentially increase known reserves. The current huge price differential between Asian and North American gas prices, with Asian prices being some five times the North American average, is unlikely to last. Despite the coming price adjustments, however, Canada needs to find alternative markets for its gas beyond domestic customers and its main export market; the U.S. Time is of the essence. These were some of the important conclusions to come out of the fourth Pacific Energy Summit, held in Vancouver, Canada, April 2-4. The focus on Canadian gas was natural given the location of the Summit, the first to be held outside Asia, but it also reflected the lively debate going on in Canada over industry developments, environmental issues, and potential economic impacts. The Summit was organized by The National Bureau for Asian Research (NBR) in conjunction with the Asia Pacific Foundation of Canada. Previous summits were held in Tokyo (2009), Jakarta (2011) and Hanoi (2012). Current high demand and consequently high prices for gas in Asia, where prices are pegged to crude oil which is close to all-time highs, is driven by the almost complete shutdown of Japan’s nuclear power plants and strong economic growth in China. Record high prices in Asia have had several impacts, including providing economic incentive to bring on additional supply, maintaining a continued reason to burn much cheaper coal despite the negative environmental consequences and a search by consuming nations for secure supply options. 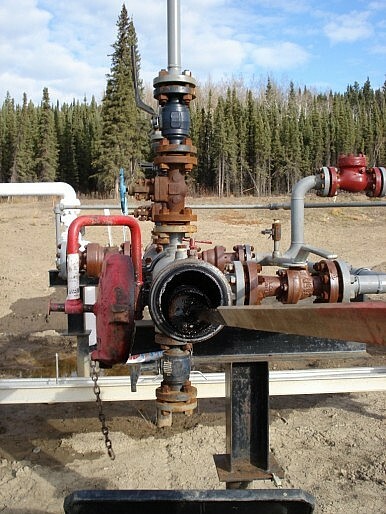 The latter factor has prompted interest in Canadian gas reserves, which are located primarily in northeastern British Columbia (BC) and in neighboring Alberta, from Japanese, Chinese, Korean, Malaysian and other companies in Asia. . However these locked-in reserves have to find an export route, presumably a pipeline to tidewater where an LNG plant would process the gas for shipment by tanker. There are several projects in various stages of the permitting or design process, all located on the northern BC coast, just south of the Alaska panhandle. In BC, which is to hold an election in mid-May, there has been huge public debate on the issue, and opposition from environmental and aboriginal groups to proposals to build an oil pipeline to carry Alberta bitumen to tidewater along approximately the same geographic route as the proposed gas pipelines. (This “Northern Gateway” pipeline is seen by the oil industry as an essential vehicle to develop new markets for Canadian petroleum, especially if the Keystone XL pipeline to move Alberta bitumen to the U.S. Gulf is not approved). The gas projects have encountered somewhat less opposition, in part because of the perceived lower environmental damage from a gas pipeline or tanker accident, but also because the economic fundamentals of gas exports provide more benefits to the local economy because much of the gas will come from BC fields and the need for construction and operation of LNG facilities on the coast. Nevertheless, the environmental reviews, not to mention the engineering issues, will mean that the earliest any Canadian gas will be moving to Asia will be 2015 and 2016, and any opposition or implementation issues could significantly delay that target date. Meanwhile, the world is not standing still while Canadians and British Columbians debate these issues, which was a point made by several commentators at the Summit. First, Japan will likely restart some of its nuclear plants. Meanwhile, although China will continue to burn lots of coal, it will begin shifting to gas including by tapping into its own tight gas reserves using new fracking technologies. Australian and most recently Mozambican producers are bringing new supplies on-stream, and Qatar continues to ship much of its product to Asia. Russia is also in the mix as is the U.S., which, although traditionally the largest customer for Canadian gas, now has a surplus of gas thanks to new technologies and is consequently reviewing whether to permit gas exports to countries with which it does not have a Free Trade Agreement. Participants were told that while global demand for gas will grow by as much as 65% by 2040, global supply will more than match that growth thanks to innovative extraction technologies. The key question revolves around who the preferred suppliers will be. These developments are likely to have an impact on pricing formulas. The huge gap between Asian and North American prices is unlikely to continue, although suppliers will argue that price stability has to be maintained in order to provide security of supply. Once North American gas reaches Asia, according to speakers at the Summit, is likely to be a blend of the oil-linked price formula used in Asia (and Europe) and the “Henry Hub” (supply/demand) market price in North America. Meanwhile, investors in LNG projects in BC, which include Petronas, Korea Gas, CNOOC, Mitsubishi, as well as Shell, Chevron, Exxon, British Gas and others, have to make decisions now to build infrastructure based on uncertain future pricing assumptions. All these factors reinforce the message that to be successful in the face of global competition, British Columbia’s gas industry has to remain competitive; it needs to avoid cost-overruns (which means ensuring adequate supplies of trained labor to keep costs under control) and must be able to operate under a royalty regime that is not punitive. Above all, Canada needs to implement a national strategy to bring its projects on-stream in a timely way before Asian markets are locked up by others. There was one thing on which all Summit participants agreed: Canada’s window of opportunity is limited. The Asian option is a time-limited offer and every day counts. Hugh L. Stephens is Executive in Residence at the Asia-Pacific Foundation of Canada, in Vancouver, with 35 years of government and business experience in Asia. He is also principal of Trans-Pacific Connections and an Associate Faculty member in the School of Business at Royal Roads University, Victoria, BC.